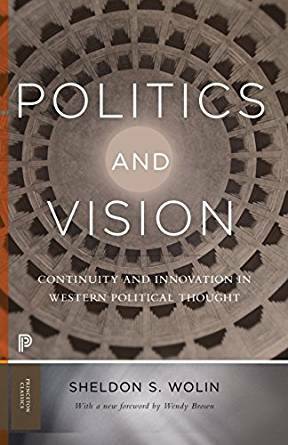 Politics and Vision is a landmark work by one of the great thinkers of the twentieth century. This is a significantly expanded edition of one of the greatest works of modern political theory. Sheldon Wolin’s Politics and Vision inspired and instructed two generations of political theorists after its appearance in 1960. Substantially expanded for republication in 2004, it is both a sweeping survey of Western political thought and a powerful account of contemporary predicaments of power and democracy. In lucid and compelling prose, Sheldon Wolin offers original, subtle, and often surprising interpretations of political theorists from Plato to Rawls. Situating them historically while sounding their depths, he critically engages their diverse accounts of politics, theory, power, justice, citizenship, and institutions. The new chapters, which show how thinkers have grappled with the immense possibilities and dangers of modern power, are themselves a major theoretical statement. They culminate in Wolin’s remarkable argument that the United States has invented a new political form, «inverted totalitarianism,» in which economic rather than political power is dangerously dominant. In this expanded edition, the book that helped to define political theory in the late twentieth century should energize, enlighten, and provoke generations of scholars to come. Wolin originally wrote Politics and Vision to challenge the idea that political analysis should consist simply of the neutral observation of objective reality. He argues that political thinkers must also rely on creative vision. Wolin shows that great theorists have been driven to shape politics to some vision of the Good that lies outside the existing political order. As he tells it, the history of theory is thus, in part, the story of changing assumptions about the Good. Acclaimed as a tour de force when it was first published, and a major scholarly event when the expanded edition appeared, Politics and Vision will instruct, inspire, and provoke for generations to come.